Looking good. I see that you went for that old school comic book style painting on these. They look like they’re straight from an 1980’s catalog. Yes, our BB league tends to go with bright colours and the comic book look. 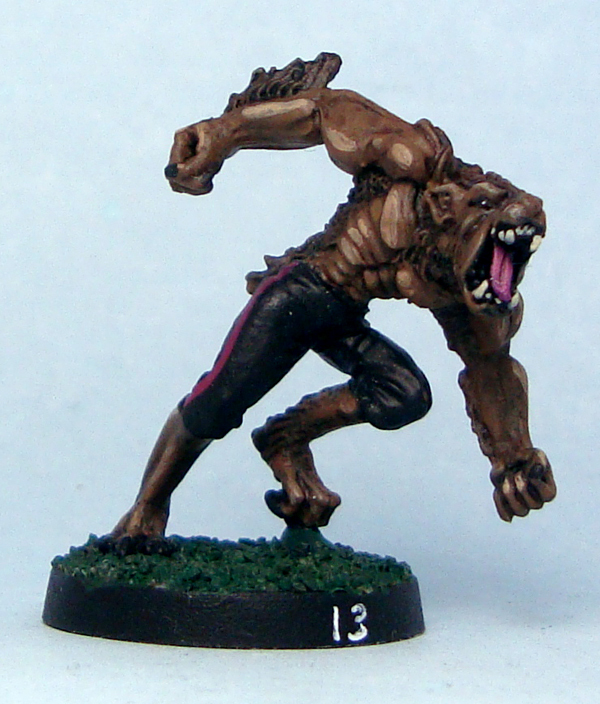 Somehow I think that’s appropriate for Blood Bowl. It’s a light, comic game – not grim and gritty like GW (and most others, come to think of it) is these days. Doesn’t Schopenhowler mean to say “A Man can be himself only when it’s not full moon”? Indeed! Figured that Schopenhowler quote pretty much conveyed the idea. Great job on the Ravens. I particularly like Schopenhowler. The fact that he looks like he is wearing cycling shorts is perfect: very Blood Bowl as I see it. I knew about the collective noun for ravens being an unkindness but I am sorry to say that the philosophy references go over my head. The alpha and omega of my philosophy knowledge comes from a Monty Python sketch. Now that the first project of 2012 is finished whats next? I’m not that knowledgeable about philosophy either, the names are twisted versions of originals found through Wikipedia. The quotes are directly from the original philosophers. Next up is definitely the Aliens boardgame in 3D. I just dropped by the hardware store today and bought some plastic bug screen, which will make a nice textured floor. Very nice! You may want to do up 2 more Ghouls so you can also use the team as Undead…. 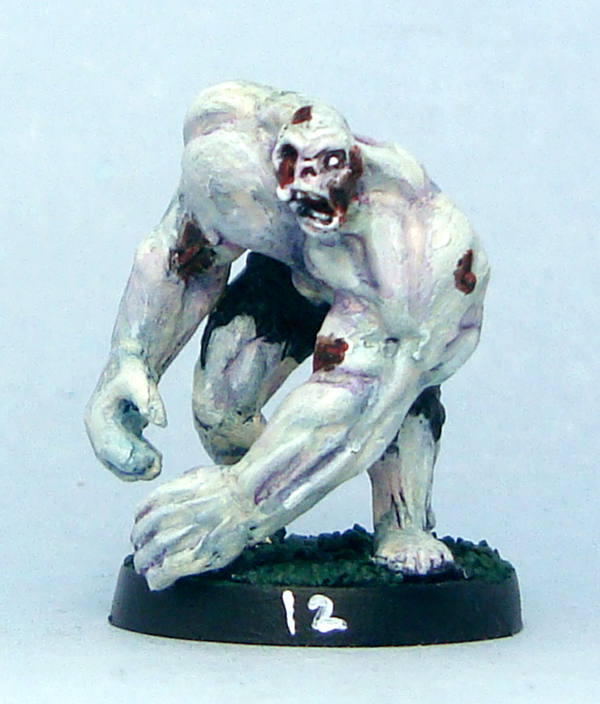 your Flesh Golems are easily big enough to stand in for Mummies, and Zombies are usually better than Skeletons in an Undead team. Thanks for the tip Jamie, that’s a very good idea! 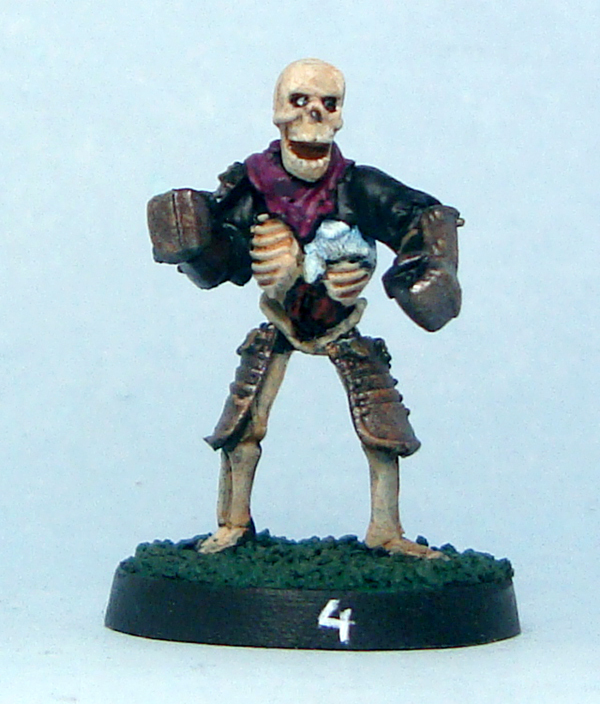 It would also give me a chance to paint up some skeletons and a few mummies.